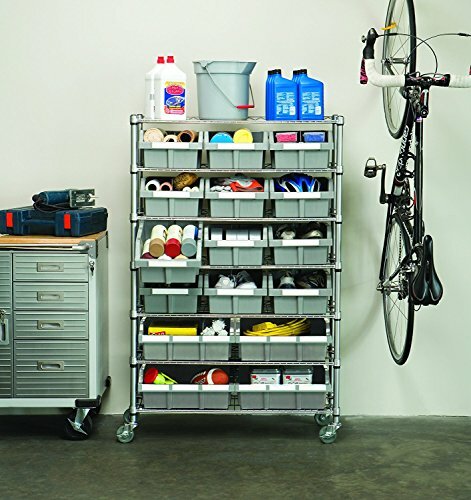 In many garages around the world, garage shelving is a must to keep things organized. If you have never had garage shelving, you would likely be amazed at how quickly your garage can transform from a cluttered mess to an extremely tidy space once the shelving is installed and in use. 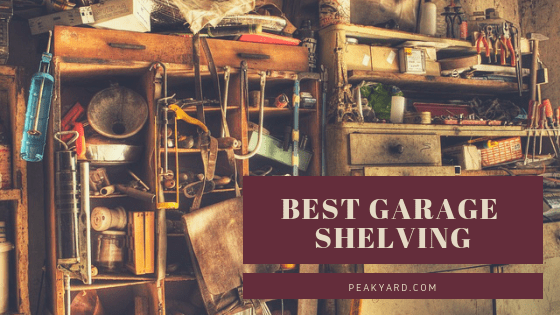 It is, of course, vital to find the best garage shelving within your budget. You want to make sure your shelves will last and will not be a hazard from the risk of tipping over or collapsing. 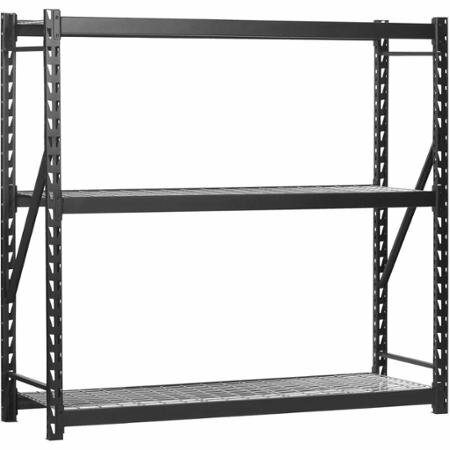 Below we have provided our picks for the best garage shelving units for your consideration. Seville is a company that is known for their products that help people organize their homes. We love this shelf simply for its ability to keep garages in order with its 16 bins for storage. Seville clearly thought out the bin design by creating four extra-large bins along with twelve large bins. In the center of each bin is a divider that can be removed to create more space or left in place to create separation between items. 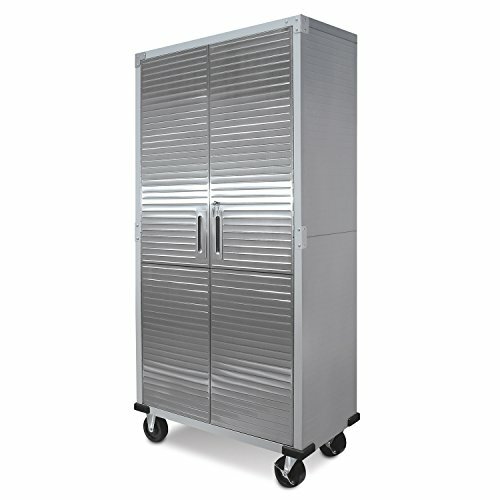 This bin system allows for excellent versatility in what you can store. Additionally, the shelf comes equipped with 3-inch wheels making the unit easy to move if needed. The AmazonBasics shelf is surprisingly heavy-duty given its price. Amazingly, each shelf hold 350 pounds that is evenly distributed. Therefore, the 5 wire shelves will hold 1,750 pounds in total. That’s a lot of weight capacity, which is nice to have available in a garage to store heavy items. Another excellent feature of this shelf is that the feet adjust. This is extremely helpful for garages that have uneven flooring. Once the feet are properly adjusted, you do not have to worry about wobbly shelving. Additionally, the height of the shelves can be adjusted up or down in one inch increments to allow for flexibility in your spacing. This shelving unit is called a “Muscle Rack” for a reason. It will hold 4,000 pounds in total or 800 pounds per shelf. 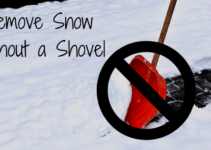 It is great for storing lawn equipment, garden tools, air compressors, or other heavy items commonly found in the garage. 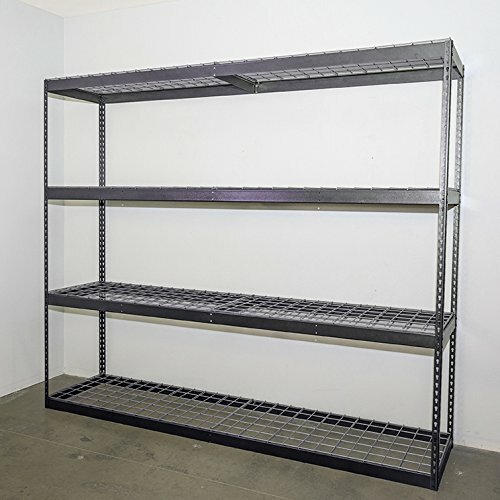 You are able to adjust the wire shelves in 1.5″ increments to meet your storage requirements. 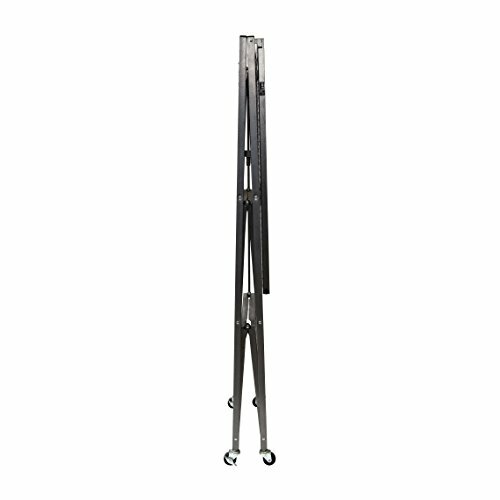 Overall, you will receive a extremely heavy-duty shelf that is easy to assemble for many people. It is a great alternative to the AmazonBasics shelf directly above if you are looking to hold a bit more weight. 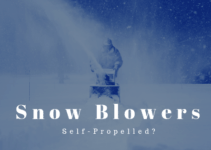 If your garage is like mine, it is packed with lawn equipment, tools and other miscellaneous things that cannot fix on a shelf. 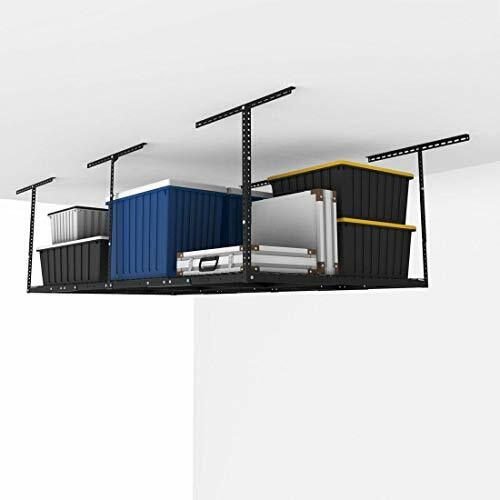 I already have floor garage shelving, so my next step for garage organization will likely be this Fleximounts overhead storage rack. This rack is great for storing items that are only occasionally used such as holiday decorations. 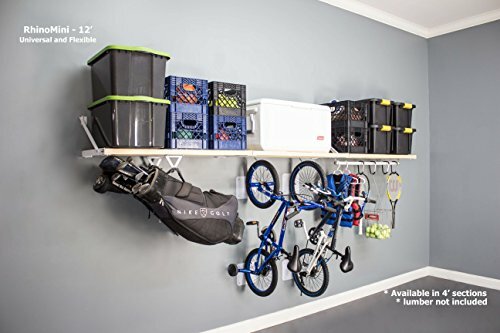 Additionally, hooks (sold separately) can be placed underneath the rack to hang bikes, sporting equipment, garden tools, and many other items for easy access. This ceiling storage helps deter water damage as items are raised off the floor for protection. The RhinoMini is very solid choice if you are looking for an option for wall mounting a shelf. 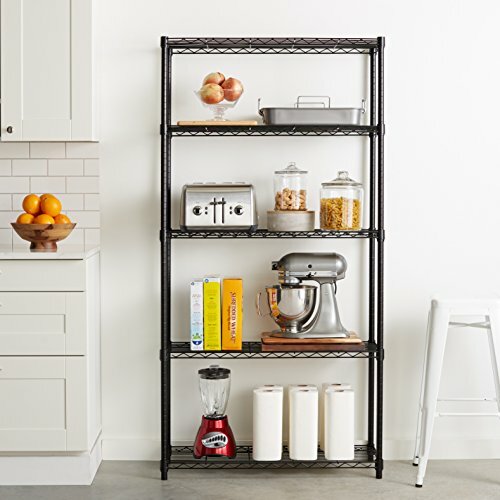 The length of this shelf is 12′ with a depth of 20″ to allow for ample storage. 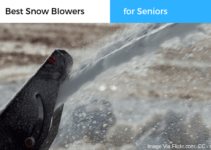 If you click the red button below, you will find several other sizes for your potential needs. 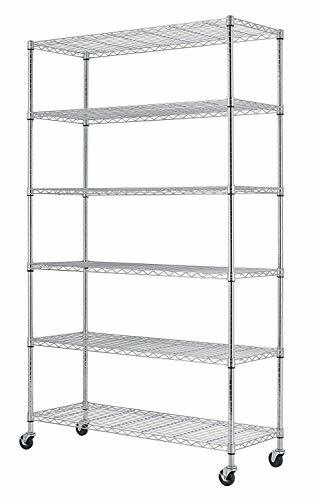 The manufacturer indicates that this shelf can hold 650 pounds in a 4 foot section, so you will have a lot of options for storing heavy items. 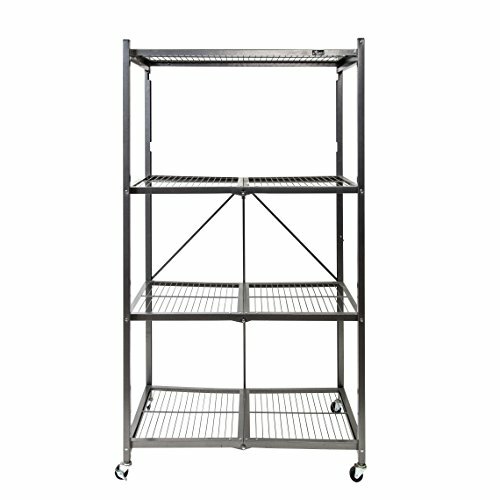 If you are looking for heavy-duty construction, this is one of the best garage shelves on our list for holding weight. Each shelf can remarkably hold 2,000 pounds. Most people will worry very little about the weight they put on this shelving unit. The size of this shelf allows for larger items to be placed on it that many of the smaller shelves out there can’t handle. This is a quality shelf, but it is best suited for basic storage, lighter items. The maximum capacity per shelf is only 220 pounds (with the feet levelers equipped). You will have to be certain that your storage items do not exceed this amount before buying. However, the price of it is reasonable given that this shelf provides six relatively large shelves. The shelves conveniently adjust in 1 inch increments so you will have options for fitting large item. We love how it can be equipped with wheels to allow for mobility as needed. This Origami shelf is unique in that it has the ability to fold up as pictured above. The shelf ships in the folded position. Within about 20 seconds, you will have the shelf unfolded and ready for use. This sure beats having to waste the day assembling a bulky shelving unit. This shelf is excellent if you do not permanently plan on keeping your shelving unit in one place or need to move it around to various locations. There is no doubt that this is a heavy-duty shelf. You probably can tell that just by looking at the photo above. The seller states that each shelf can hold 500 pounds. This sturdy SafeRacks shelf might take a some time to put together and is a bit pricier than other shelves here. However, this is a shelf you will likely have for many years to come without issues. 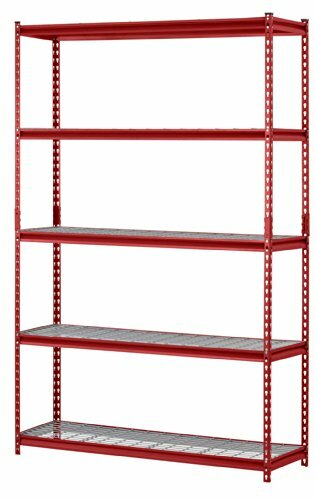 This is one of the best garage shelves on our list for its sturdiness and ability to hold significant weight. Okay, this is a cabinet and not a shelf, but it serves a similar purpose. The UltraHD is great if you wish to hide away what you placed on your shelves. Each shelf holds 150 pounds, meaning the whole unit can hold 600 pounds in total. The cabinet comes equipped with a built-in lock with key so that you can keep your items secure. 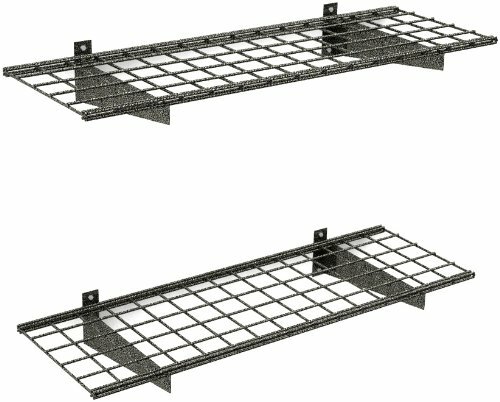 These HyLoft shelves come in a 2-pack and allow you to get your items off the ground for protection against things like dirt and floods. They are all steel construction and can hold up to 200 pounds when properly attached to the wall studs. You will get about 9 square feet of storage space with the pair. Additionally, you can, of course choose how to hang each shelf (i.e. one above the other, next to each other, etc. ).